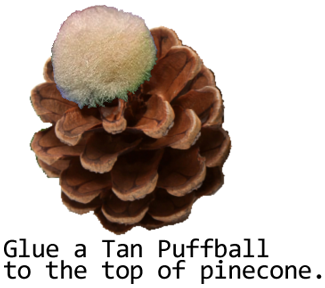 Glue a tan puffball to the top of pinecone. 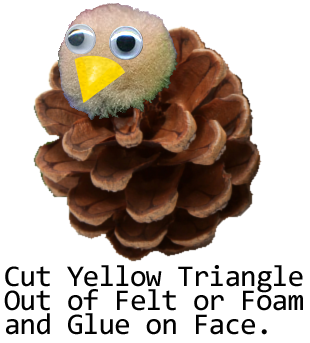 Cut yellow triangle out of felt or foam and glue on face. 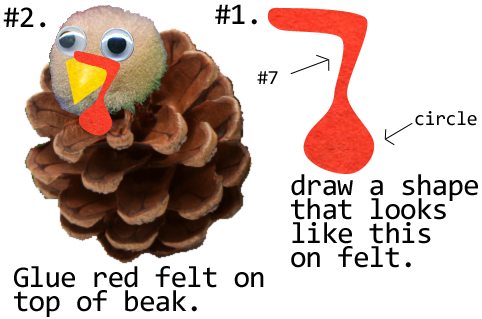 Draw a #7 like shape on red felt like above picture. 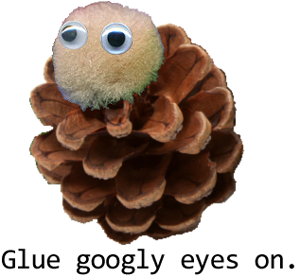 Glue red felt on top of beak. 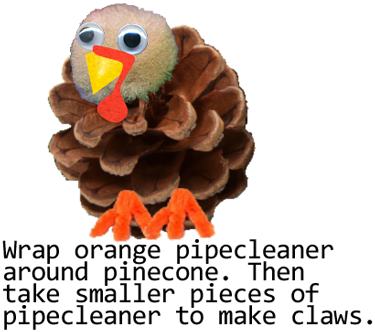 Wrap orange pipe cleaner around pinecone. Then take smaller pieces of pipe cleaner to make claws. 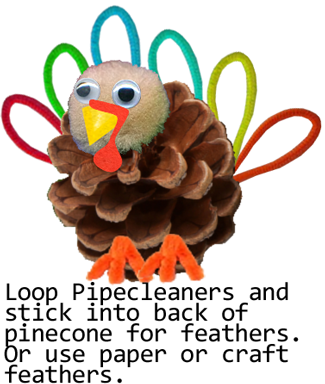 Loop pipe cleaners and stick into back of pinecone for feathers. Or, use paper or craft feathers. And, now you are all finished. 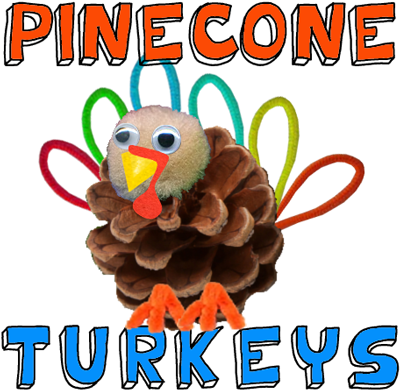 You just made your Pincone Turkey. 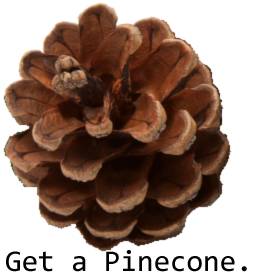 Now, use it to decorate your house for Thanksgiving. 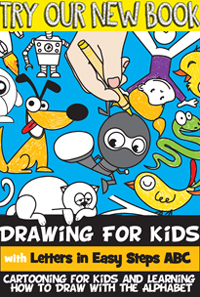 Actually, make a few to put around the house….. everyone will love it! !